YOU COULD BE SINGING KARAOKE RIGHT NOW! • Click here to see our weekly club schedule and locations. We provide upbeat music to match the age-group of you and your guests for dinner and dancing. 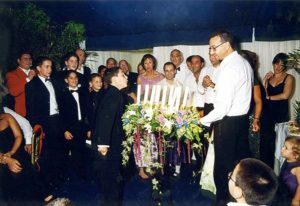 Bar Mitzvahs & Bat Mitzvahs: We play the songs that you prefer for special ceremonies and traditions. Holiday Parties: We provide the music to make your holiday party fun, whether it be at your home or elegant venue. 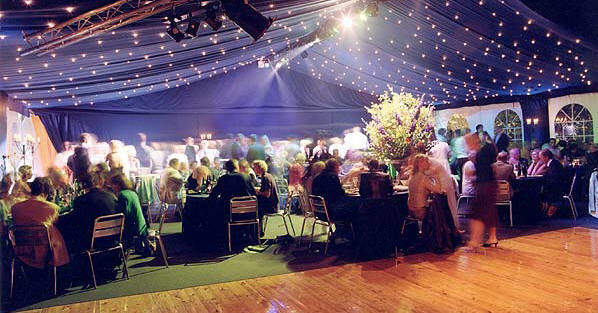 Corporate Functions: We provide the dinner and dancing music, plus a wireless microphone for announcements or speeches. 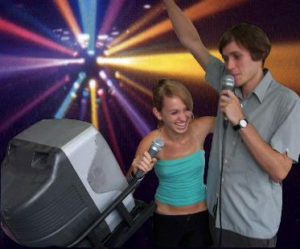 Karaoke Parties: Add a little pizzazz to your gathering. We provide the largest karaoke song list available! 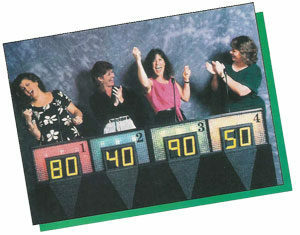 Game Show Mania: For non-singers, we provide “Game Show Mania,” a unique TV-style game show that includes trivia questions that you can customize for your event. 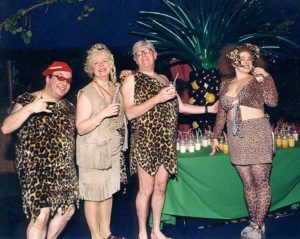 Theme Nights: Theme nights are a great way to add interest to your party. We provide theme music, memorabilia, posters & contests. Choose your own theme or try a 50’s, 60’s, 70’s, 80’s, country, or costume party!